Jordan started as a lecturer within Te Hautaki Waiora Faculty of Health, Sport and Human Performance at the University of Waikato in early 2018. Previously, he was a Māori Health Consultant based out of Whaingaroa/Raglan. He completed his PhD at Massey University, which focussed on Māori notions of ‘Resilience’ and how they are utilised by whānau who had experienced adversity. He has Honours and Masters degrees from Otago University, with research expertise that is broadly based in the area of Māori Health. 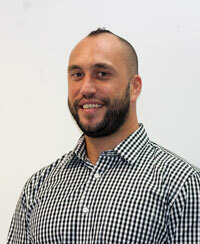 He has also been a volunteer facilitator for the Te Taitimu Youth Trust in Hawkes Bay.